Helloween were quite possibly the most influential heavy metal band to come out of Europe during the 1980s. By taking the hard-riffing and minor-key melodies handed down from metal masters like Judas Priest and Iron Maiden, then infusing them with the speed and energy introduced by the burgeoning thrash metal movement, Helloween crystallized the sonic ingredients of what is now known as power metal. Sadly, just as they were on the verge of breaking to a wider audience -- even flirting with American success -- the band's meteoric rise was rudely interrupted by internal strife and a string of bad business decisions. These blunders kept them from ever regaining their original momentum, but Helloween took their hard-knock lessons in stride and continued to prosper in the international metal arena on their own terms. 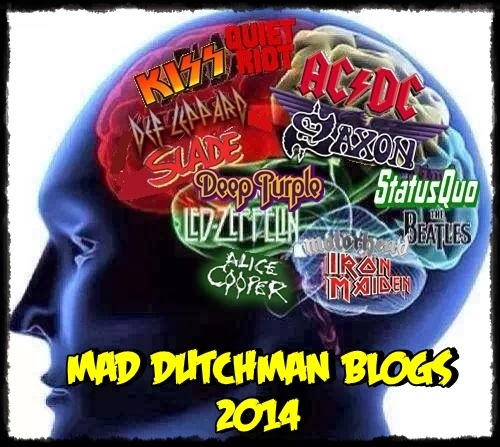 More importantly, they remained the benchmark by which most every power metal band is still measured. 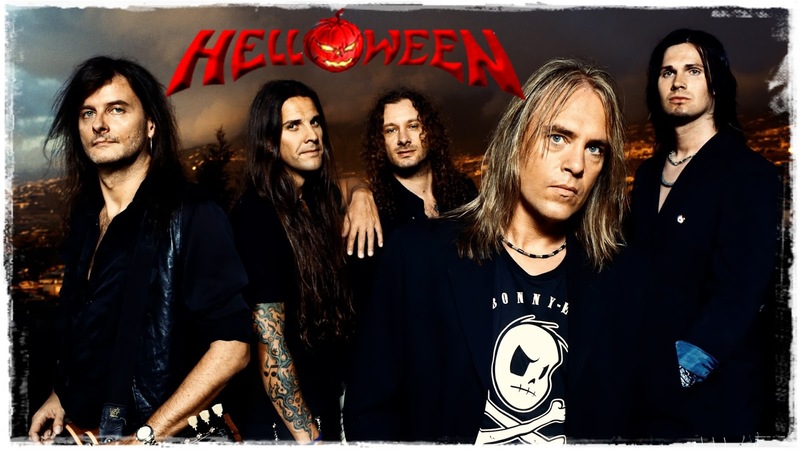 Helloween were founded in 1984 in Hamburg, Northern Germany. The band is a pioneering force in the power metal subgenres and their second and third studio albums, Keeper of the Seven Keys, Pt. 1 and Pt. 2, are considered masterpieces of the genre. 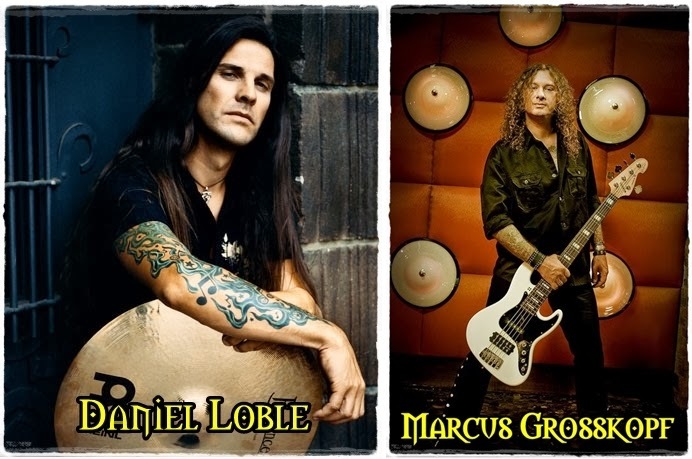 Twelve musicians have been a part of the band's line-up in its history, which has consisted of singer Andi Deris, guitarists Michael Weikath and Sascha Gerstner, bass guitarist Markus Grosskopf, and drummer Daniel Löble since 2005.
in 1984 members of bands Iron Fist, Gentry, and Powerfool. 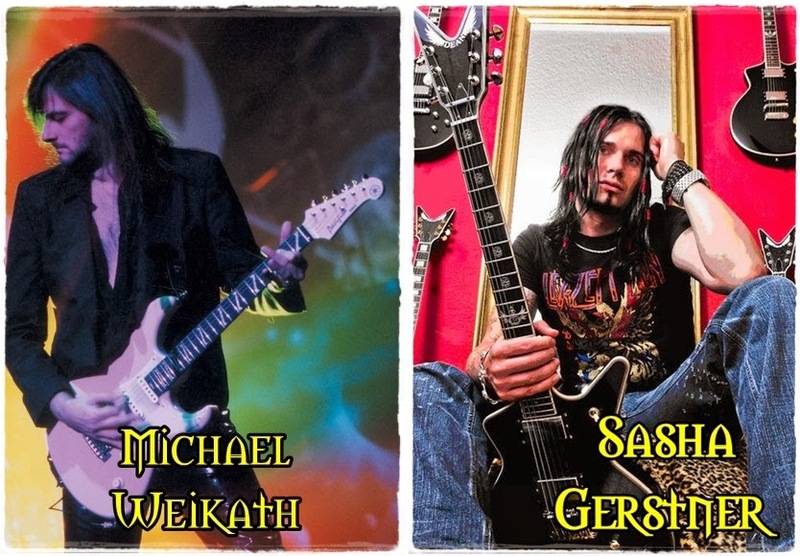 Its first line-up consisted of Weikath, Grosskopf, singer and guitarist Kai Hansen and drummer Ingo Schwichtenberg. After the release of a self-titled EP and a first album in 1985, it expanded into a quintet when singer Michael Kiske joined, with Hansen only acting as guitarist. 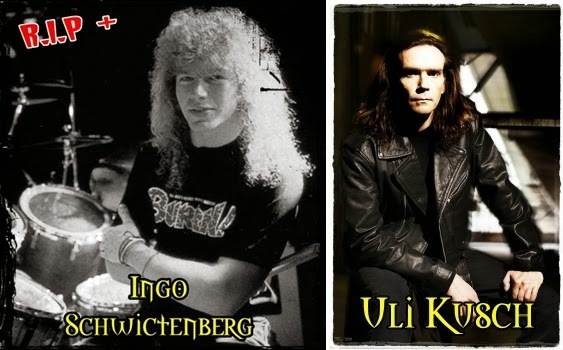 Under this line-up, they released the Keeper of the Seven Keys albums (1987 and 1988), which established Helloween as a notable heavy metal band and led to the creation of the power metal subgenre. However, Hansen left the band quickly after the release of Pt. 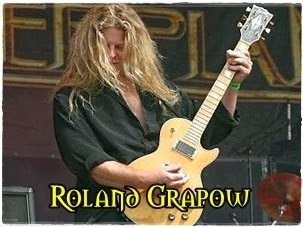 2 and was replaced by Roland Grapow. He then created the band Gamma Ray. Helloween were formed in Hamburg, Germany, by guitarists Kai Hansen and Michael Weikath, bassist Markus Grosskopf, and drummer Ingo Schwichtenberg. Originally named Second Hell and then Iron Fist before morphing into Helloween in 1982, they signed with Germany's own fledgling Noise International two years later. With Hansen also handling vocals and the bulk of songwriting duties, the quartet recorded its self-titled debut mini-album in early 1985. The full-length Walls of Jericho and the Judas maxi-single followed the year after, and the media were soon buzzing over the band's thrash-fueled interpretation of classic heavy metal. 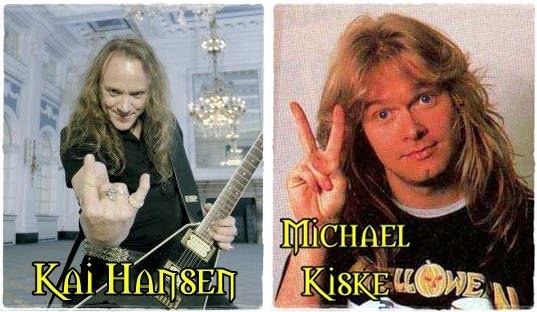 Countless fans across Continental Europe were also fast converting to the band's cause, but Hansen remained dissatisfied with his singing ability, and felt Helloween needed a proper frontman in order to achieve their full potential. Enter teenage vocalist Michael Kiske, whose high-pitched delivery followed in the footsteps of previous heavy metal banshees like Rob Halford and Bruce Dickinson. The new chemistry proved as explosive on-stage as it did in the studio, and with their classic lineup now intact, Helloween were ready for the big time. Returning to the studio in early 1987, the band emerged in May with Keeper of the Seven Keys, Pt. 1, a landmark recording that remains arguably the single most influential power metal album to date. Its volatile combination of power and melody would inspire an entire generation of metal bands, and transformed Helloween into bona fide superstars all over Europe and the U.K., even making tentative inroads into America at the time. The band toured relentlessly for the rest of the year and into 1988 (including a lengthy opening stint with Iron Maiden), but despite this manic work schedule, Helloween still found time to record the aptly titled Keeper of the Seven Keys, Pt. 2. Released in September 1988, the record was another blockbuster that crashed the U.K. Top 30, but its uneven songwriting (especially from longtime leader Kai Hansen) revealed the beginnings of a major band crisis. Helloween's OUTSTANDING performance at that year's Donington Monsters of Rock Festival proved to be their crowning glory, but for Hansen, his dream come true also represented the culmination of his ambitions for the group. 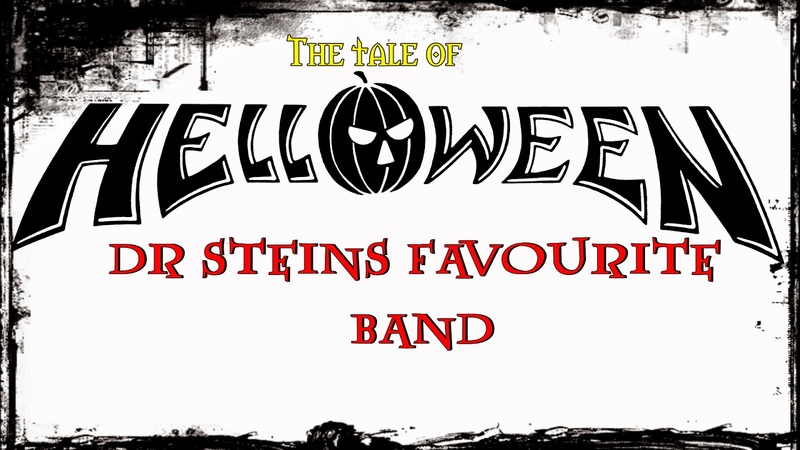 Shockingly, the guitarist soon announced his departure from the band he had helmed to the top, claiming that Helloween were now too big a beast for him to control. (He would soon make a fresh start with a new outfit called Gamma Ray, which, to no one's surprise, sounded remarkably like Helloween.) But the remaining members of Helloween weren't about to let their shot at stardom slip away, and after drafting former Rampage guitarist Roland Grapow, they got right back to work with a sold-out tour of the U.K. Impressed by the band's momentum, giant EMI stepped in and offered to sign Helloween away from the ever troubled Noise Records, but in doing so, wound up igniting a legal dispute that would sideline the group for nearly two years. 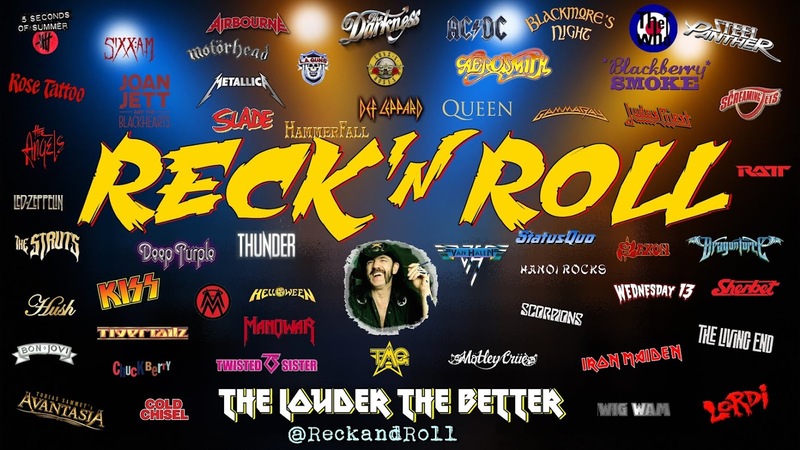 Several live albums (Live in the U.K. for Europe, Keepers Live for Japan, and I Want Out: Live for the U.S.) were released to distract the fans during this hiatus, and the band obtained added support from the mighty Sanctuary management team (Iron Maiden, W.A.S.P., etc.) to boot. Confident that they'd accumulated little, if any rust from their extended layoff, Helloween finally returned to action with the oddly titled Pink Bubbles Go Ape in 1991. But no amount of EMI or Sanctuary muscle could compensate for the scattered, unfocused songwriting that dominated the album. Furthermore, the band's quirky attempts at humor had grown so forced that fans weren't sure what to make of furious metal anthems with names like the title track and "Heavy Metal Hamsters." The record bombed in no uncertain terms, as did its even more schizophrenic follow-up, Chameleon. 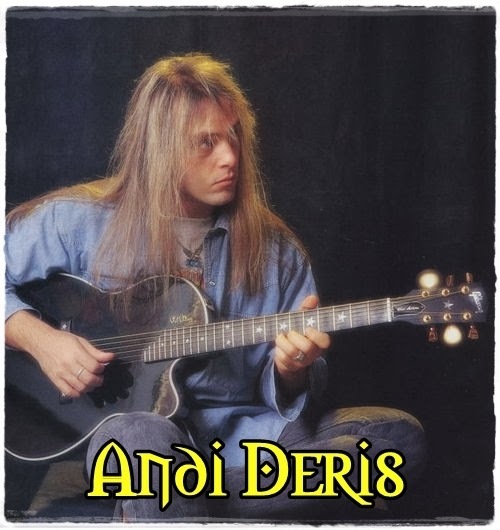 Recorded in 1993 by an obviously shell-shocked band, its poor showing only exacerbated growing internal dissension, which culminated with the ousting of both Kiske (off to launch a solo career) and Schwichtenberg due to drug-related physical and mental health issues. Fair-weather friends EMI and Sanctuary also decided to cut their losses at this time, leaving the shattered remnants of Helloween to fend for themselves. Attempting to regroup as fast as possible, Helloween brought in new singer Andi Deris and drummer Uli Kusch to record 1994's Master of the Rings, a small but determined step in the right direction. Then tragedy struck, when former drummer Ingo Schwichtenberg -- a diagnosed manic depressive whose worsening condition had been partly to blame for his dismissal -- took his own life, throwing himself in front of a train near his native Hamburg. 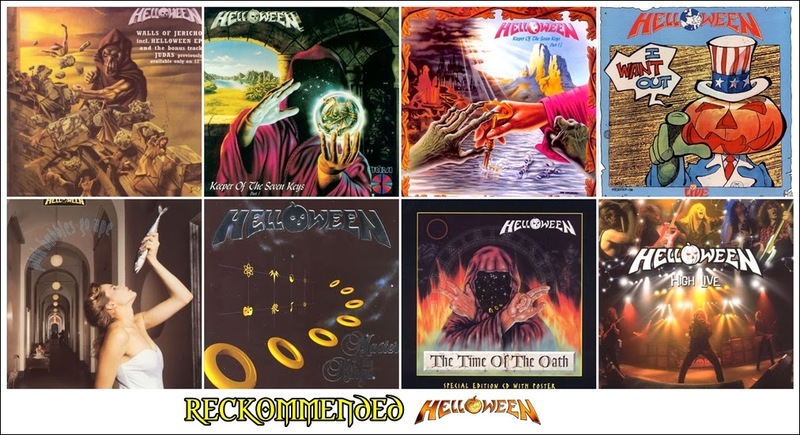 Shaken to the core but as driven as ever, Helloween dedicated 1996's The Time of the Oath to their fallen friend, and, coincidentally, the album turned out to be the strongest since their glory years, doing much to resurrect their career. The ensuing tour spawned the double-disc set High Live and confirmed the band's return to form as major players in the international metal arena (in Europe and Japan, they were arguably bigger than ever). Helloween continued to prosper with 1998's Better Than Raw, 1999's celebratory Metal Jukebox covers album, and 2000's The Dark Ride, and not even the departure of longtime members Grapow and Kusch could slow them for long. Now regarded as elder statesmen of Euro-metal, Helloween celebrated their achievements with 2002's Treasure Chest greatest-hits set. This was followed by 2003's Rabbit Don't Come Easy, which introduced new guitarist Sascha Gerstner and featured Motörhead's Mikkey Dee guesting on drums until a permanent replacement could be found in Stefan Schwarzmann (ex-U.D.O., Running Wild, and many more). Schwarzmann left the group in 2005 and was replaced by Rawhead Rex drummer Dani Löble, who appeared on that year’s critically acclaimed Keeper of the Seven Keys: The Legacy. Gambling with the Devil arrived in 2007, and was followed by 7 Sinners in 2010. Their 14th album, Straight Out of Hell, arrived on The End Records in early 2013.